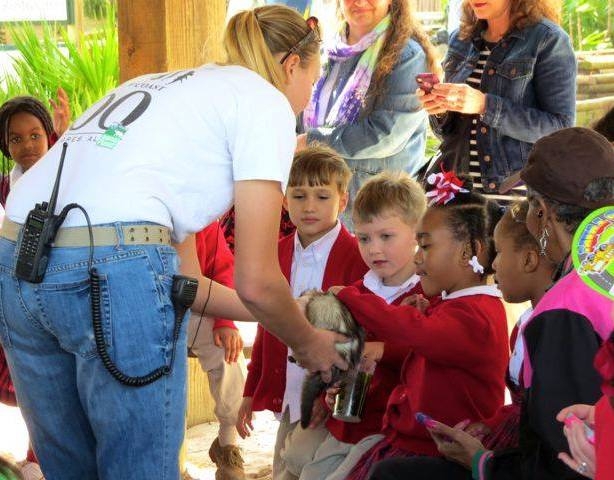 The Alabama Gulf Coast Zoo is the coolest classroom ever! Zoology, biology, ecology, geology, geography, conservation . . . Where else can teachers bring students of all ages to one unique place, surrounded by over 600 exotic animals, to learn about the amazing variety of life or “bio-diversity” of Planet Earth? We welcome both public and private school groups. Something magical happens when human beings get up close and personal with creatures they might otherwise never get to meet beyond a computer or TV screen. Curiosity and imagination are given flight here every day and we think those are great educational building blocks. 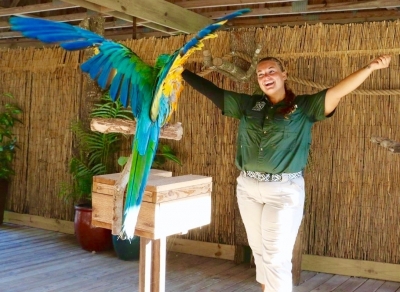 Our zookeepers provide easy-to-understand science-based information and fun factoids about our zoo animals that will energize kids to keep learning, both inside and outside of the classroom. We hope we can inspire teachers too. When the lessons being taught are compassion and respect for all living things, no learning experience can compare to touching, feeding, or holding a gentle animal. 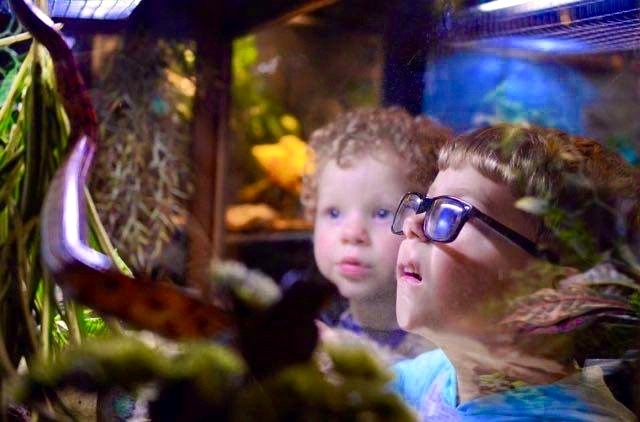 Our keeper-supervised, education-based Animal Encounters bring wonder and awe to every child, and even more importantly, they light up their minds to discover more about our natural world. Put a zookeeper and an animal on a stage or out in the park and they can talk ’til the cows come home. Then want to talk about the cows! We are educators, not just animal caretakers. We love teaching school kids about our animals through up-close experiences that will hopefully inspire them to keep learning. 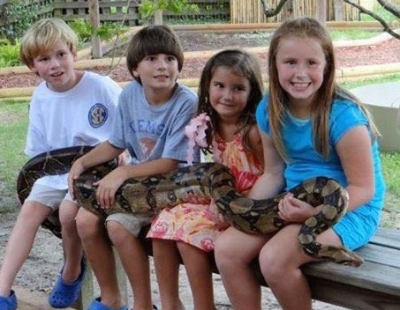 The Alabama Gulf Coast Zoo is home to 22 Endangered Animal Species. Learn more about the worldwide plight of endangered species and check out our awesome animals representin’ here at the zoo. 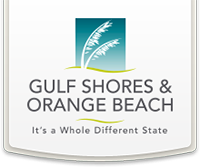 We offer a discounted admission rate of $5.00 per person with a minimum of 15 students and chaperones. Teachers and bus drivers get in free and there’s no minimum for daycare groups. Advance reservations are required. 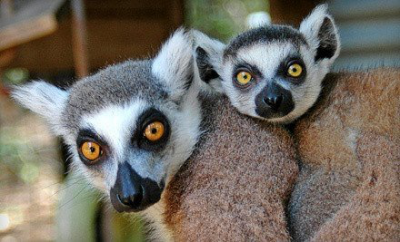 Please Note: We will not be accepting any school groups after September 30, 2019 as the zoo will be preparing for our move to the new zoo! Alabama State Sales and Use Tax.